Great to see you back at the blog. Today is the big day, I’m leaving for my trip around the world. 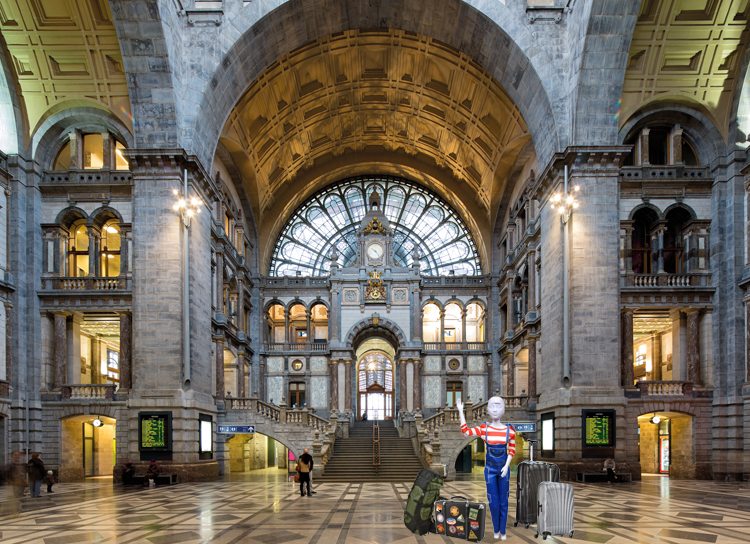 My starting point is here at the Antwerp Central Station. This one is in the top 3 of most beautiful train stations in the whole wide world. Let’s see about that. I’m going to take the train to Amsterdam from here. To have a comfortable journey, I’m wearing my dungarees. This outfit is called Tilly Jeans (PN-0164668) and is a level 4 kit, which means this is easy to sew for children starting at 10 years. Did you already leave for your sewing journey? Then I have a tip for you. Pins, pins, pins! Always use pins to keep your fabric together. This way, sewing will be so much easier because the fabric won’t move an inch. The train is leaving so I’ve got to go.